or resting in air above lush garden grass…. the open wound. Let it breathe. Inhale sacred songs of the symbols around you. Exhale your heartache, fears and swallowed tears. or whirlybird seeds on a whimsical breeze. where the lion’s tooth tickles striped tiger lilies pink. life woven in patterns, naturally. 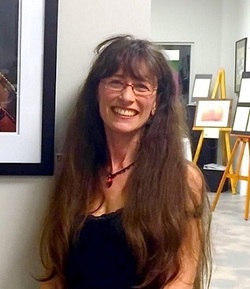 Linda Eve Diamond is an author whose poetry, flash fiction and photographs have been published by several literary journals and Websites, including Grey Sparrow Journal, Your Daily Poem, Thema, Sleet Magazine and Gravel Magazine. She is an author of 12 books, including two poetry collections, The Human Experience and The Beauty of Listening. Visit her blog at http://ThePigsWings.com and her Website at http://LindaEveDiamond.com.